Common cold virus is gone but another virus came to invade my body! My feet were very itchy the other night and I know that it was a pathognomonic sign- 'travel virus' had conquered my system resulting in an irresistible desire to hop on a tour bus and visit this circular man-made structure dating back to 3100 BC- the Stonehenge. These stones measure 2 x 1.5 x 0.8 metres- the heaviest pieces weighing around 4 tons each. This monument was completed in 1,500 years, and some of its major materials existing today were discovered to have come from the Preseli Mountains in Wales, UK which is 386 kilometres away! The very purpose why the Stonehenge was built remains a mystery until today. Archaeologists believe that prehistoric pilgrimages could have happened here for astronomical observation; others say that ancient people possibly came to get healed, to bury their dead or to worship. This 2013, I came to visit! 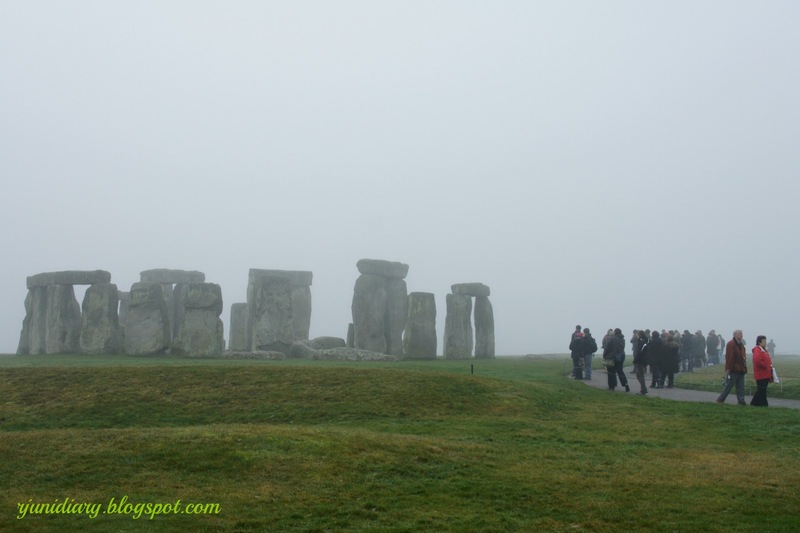 The tourists visiting one of the UNESCO's World Heritage Sites, English county of Wiltshire, UK. WHEN MY URGE TO TRAVEL assaulted me that evening, my fingers eventually became submissive... my hibernating computer rekindled to life and my wallet obediently unclasped so on the last minute, my internet connection aided me to book a day trip to the mysterious Stonehenge, including the alluring and relaxing Roman city of Bath and to a small yet lovely town where William Shakespeare was born- Stratford-upon-Avon. I kept tossing and turning on my bed overnight... and eighteen minutes before my alarm went off I found myself inside the steaming shower cubicle. I left the flat at six A.M. but it was still dark and cold. From the spot where I was standing, a heavy fog was obscuring the bus' LED route board as this service vehicle crept slowly towards me. I arrived forty minutes before the scheduled train departure but after purchasing my one-day travel card from a machine, an unseen lady was heard over the speakers announcing and apologising for the cancellation of the rail service to London Victoria station (where the tour's one and only pick-up point was)! I only have 20 minutes left to catch the tour, so I rushed out of the station to find another transport that could quickly take me to my tour's pick up point. Unacquainted with the bus routes and unfamiliar with the roads and streets around Greater London, I hopped on the first bus that stopped to drop a passenger off. I stood beside the driver and asked him to take me to a place where I could get another bus or a cab so I could find my way to Victoria Coach Station at the shortest possible time. While the driver was propelling his bus through the dark and hazy road, I rang the tour company to inform them of my situation and current location. I didn't get any assurance. Over the phone, the representative told me that the coach could only wait for another fifteen minutes. Heaven must be very good to me. After all the dramas- transferring from one coach service to another and running more than a human speed around the Victoria train station along the Buckingham Palace Rd. to the coach station's gate number 6, I luckily caught the tour bus! I was heavily panting and my heart was beating like the loudest drum in the marching band when I presented my reservation number and I.D. to our friendly guide. He smiled and said, "Good morning, Sir!' I couldn't respond if it was. AS THE SKY ABOVE THE misty city began to glow, the bus carefully traversed southwest, crossing rivers over humble bridges. Comfortably sitting, I was enjoying the warmth of the coach and as I gazed through the window, it was obviously cold outside. The leafless trees and the triangular, steeply sloping roof of the Victorian houses were silhouetted against the gloomy sky and the foggy horizon. As the bus driver hit the gas pedal, these silhouettes were rushing the opposite direction... then buildings were getting lesser and woodland's getting denser. I was imagining the hills, the valleys and the verdant meadows hidden behind the haze! IT ONLY TOOK US AN hour and a quarter to get to the Stonehenge! 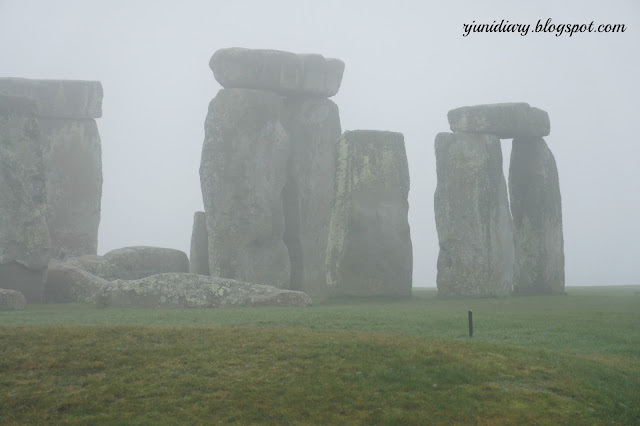 It was chilly and misty when I was queuing at the visitor's centre... and as our group pushed towards the prehistoric site, the ancient monument was gradually revealing it's concealed elegance and hidden charm amidst the fog. Our tour guide told us that, approximately, there were only 100,000 people around England when they started building the Stonehenge- and how this people, without our modern ways of communication, united and planned to build this fascinating structure was a really a big thing. They didn't have luxurious transportation but they managed to source and take these heavy materials from that mountain in Wales to this hill in England. They crossed valleys, rivers and streams while handling these monoliths, and they had managed to arrange these stones- 1,500 years in the making, with their original 'blueprint' carried through- in a way that modern architects and engineers would undoubtedly admire! Those prehistoric people achieved something that has lasted for thousands of years. The Stonehenge is not only a physical monument but a living legacy that could remind every person of today that harmony and solidarity really make a difference and give us the power to achieve our common goals that the coming generations can savor and enjoy! 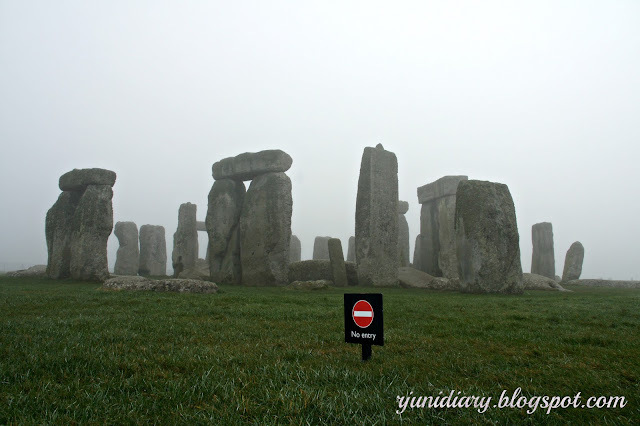 The travel virus, the transport drama, the monoliths... My visit to the Stonehenge was very memorable, and I concluded it with a giant piece of a delicious, hot sausage roll sold next to the souvenir shop. 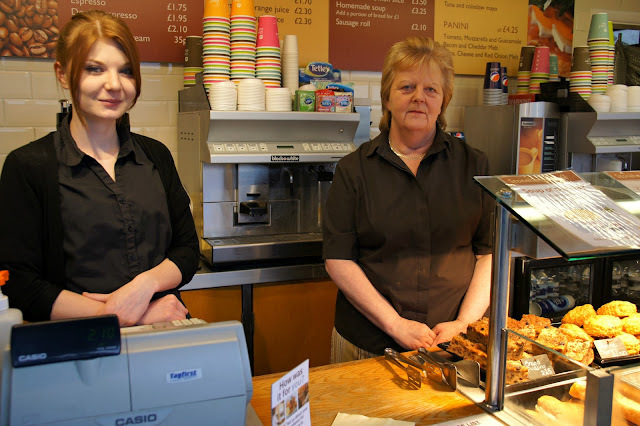 The locals selling cakes and pastries at the visitor's centre. 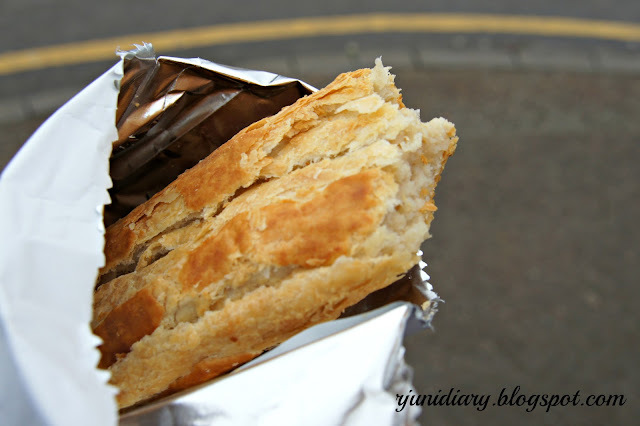 The sausage roll that I had at Stonehenge. NOTE: I'll try my best to write my experiences at the Roman city of Bath and Stratford-upon-avon soon. it has been a while since my last visit to your blog, doc rj and i'm glad you've been to london! amazing! let me greet you first with happy 2013; i guess with this initial experience for the new year, a lot more pleasant things will come your way this year and beyond! 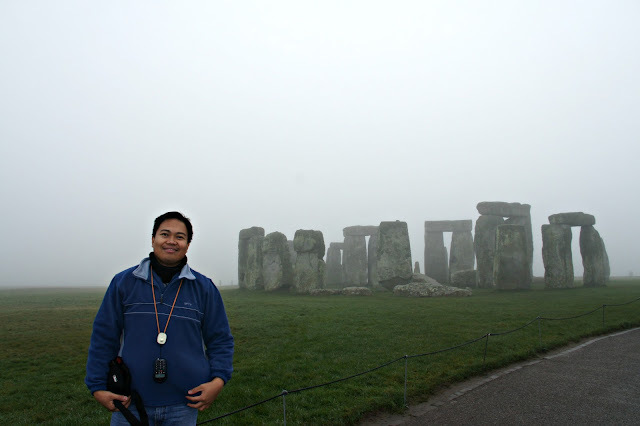 i can almost feel that chilly atmosphere on those stonehenge's photos! I regularly visit your blog to join you with your adventures, di nga lang po ako nag-iiwan ng comments.